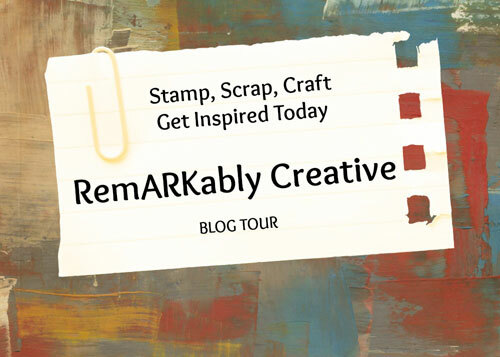 Welcome to the May RemARKably Creative Blog Tour. This month's theme is Anything New. For my card, I decided to showcase the upcoming Birthday Memories Suite. The greatest benefit is that the framelits can be used on the Birthday Memories Designer Series Paper. This card is so adorably sweet. The little girl reminds me of Little Debbie. What I like most about this card is that it doesn't have to be used as a birthday card. I am also using the Oh My Stars embossing folder that will be released in June. 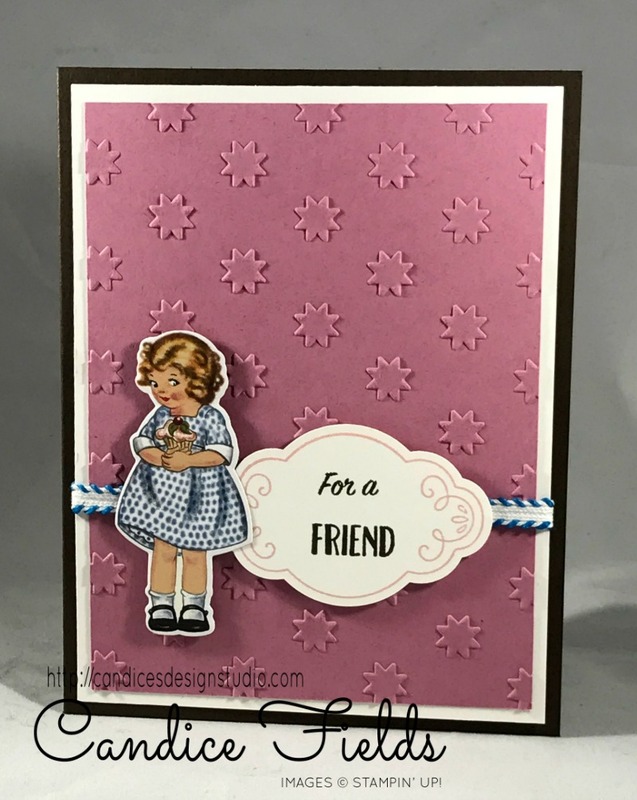 Beautiful new embossing folder creates a great background for the vintage little girl. Great way to use the new embossing folder for a fabulous background! This suite is so adorable. I love how you featured the little girl. So "suite"!